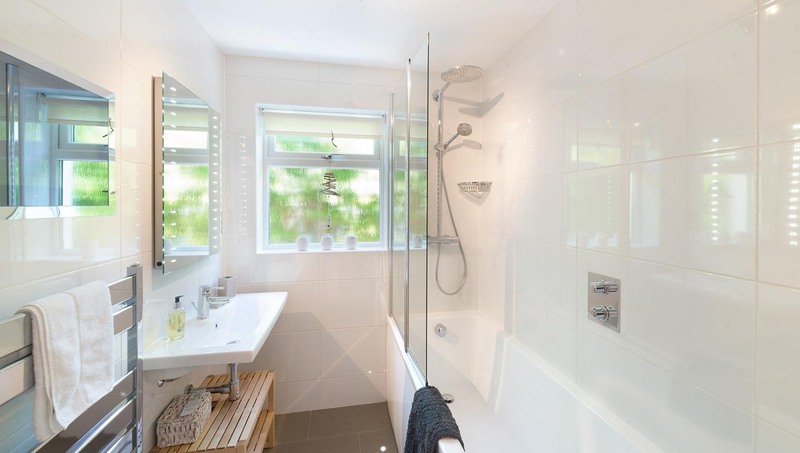 Our holiday home ‘Stay’ is a stylish and modern Cornish bungalow of spacious proportions. 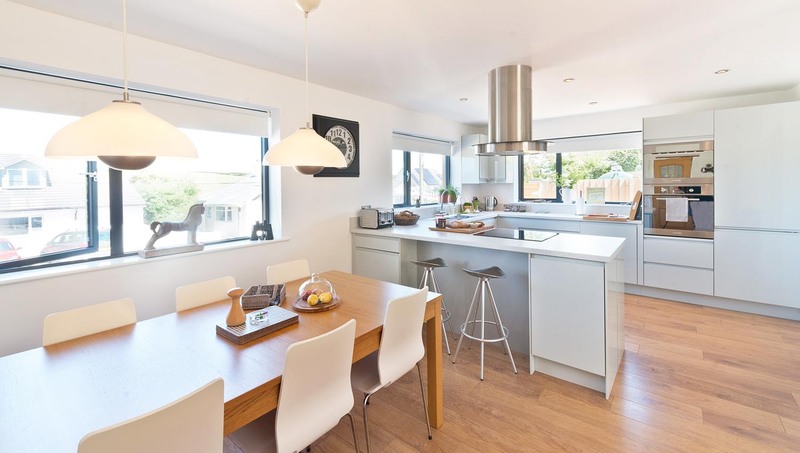 Having recently undergone a full refurbishment, Stay has 3 bedrooms, 3 bathrooms and a large, open-plan living space to accommodate up to 7 people in comfort. 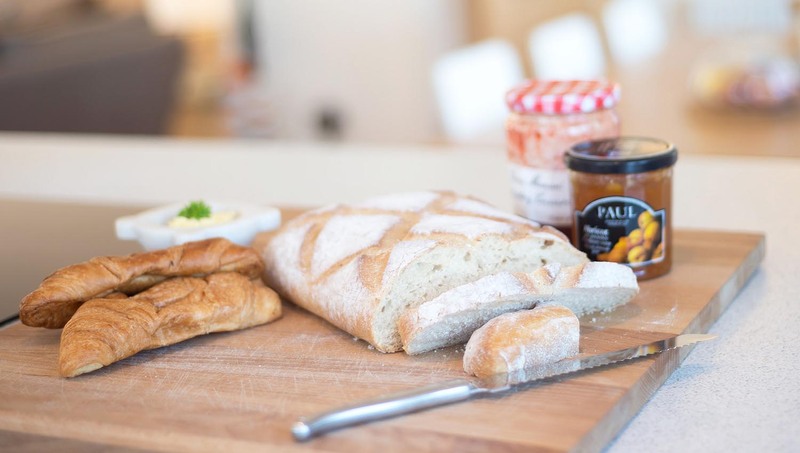 Stay is situated in a quiet, no-through road directly opposite the beach, so it’s just a short walk back to pick up your picnic lunch! 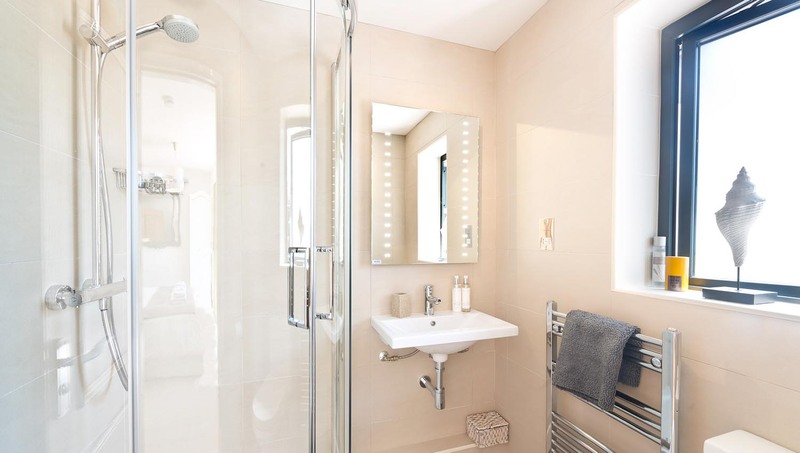 The house is fitted-out to a high standard, to include luxurious high-pressure showers, flat-screen TV’s, de-misting mirrors, LED lighting and high-speed wireless broadband throughout. 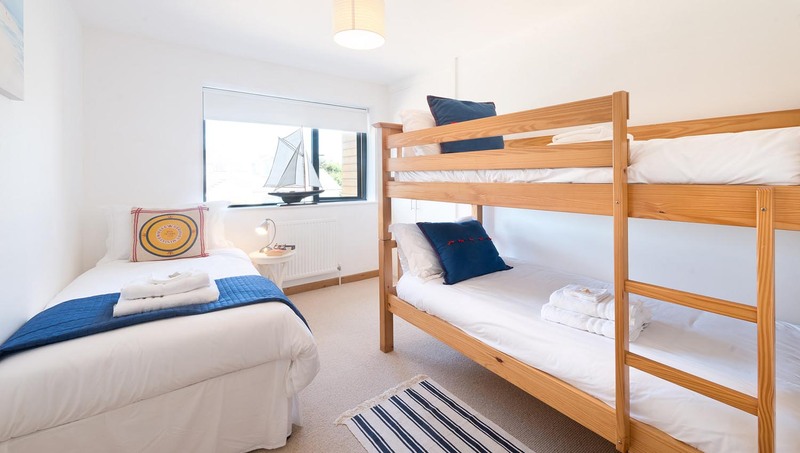 The beds, mattresses and linen are all of a luxurious hotel quality, from the Super King size bed in the bright, south-facing master bedroom, to the sturdy bunk-beds favoured by the kids. 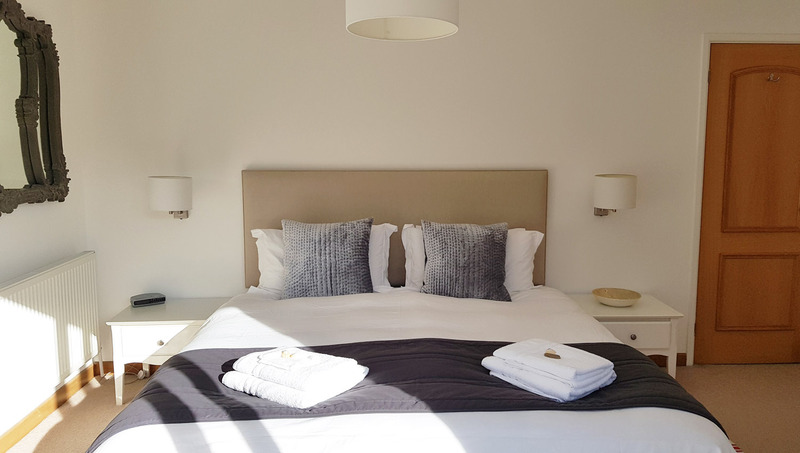 Each bedroom is furnished with a hair dryer and a selection of luxury towels. 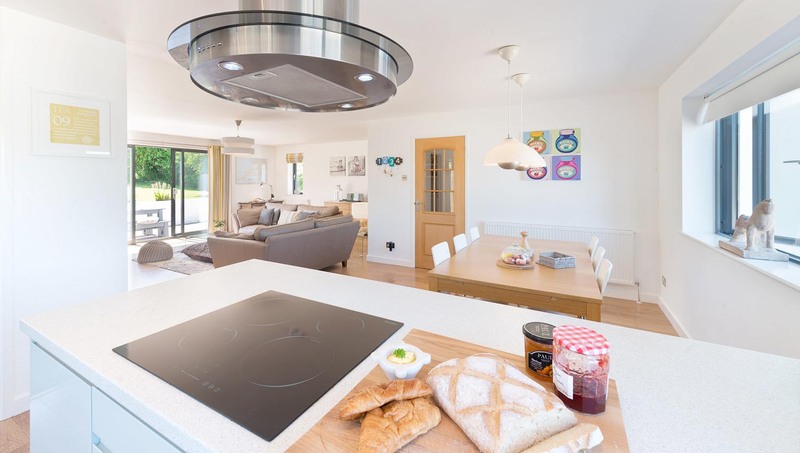 The large open-plan living space encompasses kitchen, dining and lounge areas to keep our guests united during their stay. The lounge area is home to comfortable leather sofas, and entertainment is provided by way of a large-screen TV, Wii console and DVD player supported by a wide selection of games and DVD’s. There’s also a great selection of books for those preferring some quiet time! 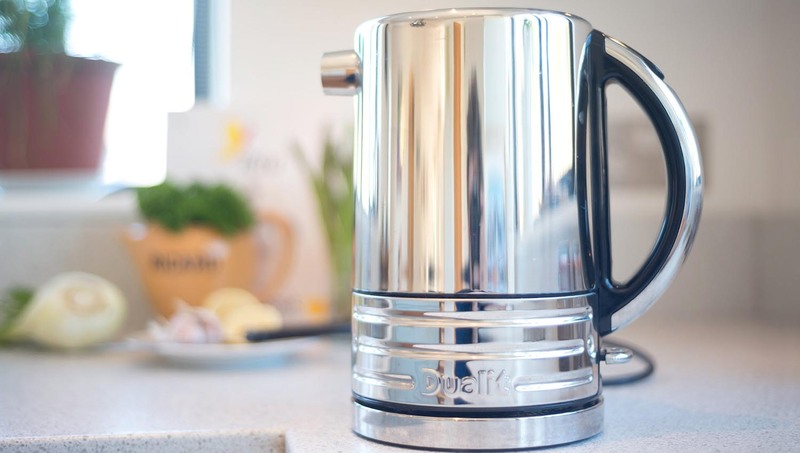 The high-gloss modern kitchen is well appointed for you to make the most of the welcome pack that awaits your arrival, being equipped with oven and microwave, induction hob, fridge-freezer and dishwasher. 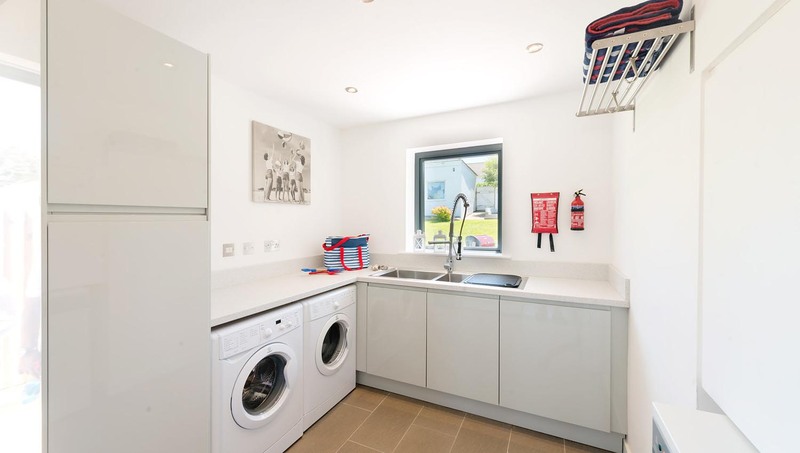 The adjacent utility room features a large sink for rinsing out your beach gear, together with a washing machine, tumble dryer and drying racks. For those arriving with ‘little ones’, Stay is equipped with a travel cot, high-chair and baby monitor to save you bringing those bulky, yet essential items with you. 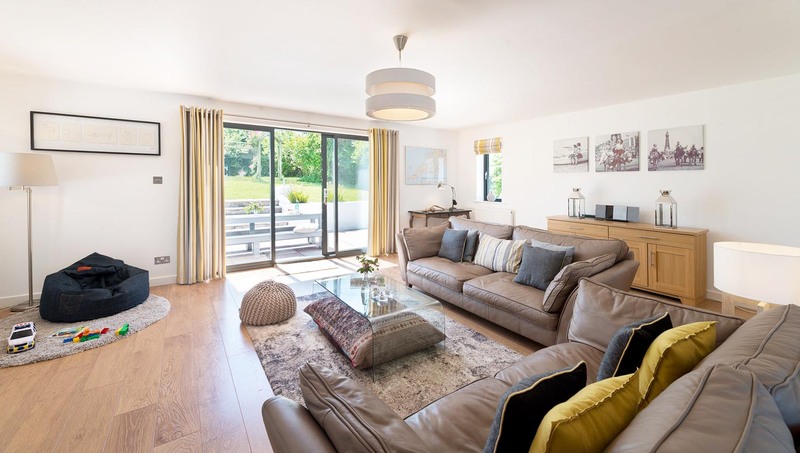 Stay has a large, south-facing enclosed rear garden with a sizeable patio and upper deck area for some great outdoor living. There’s a gas BBQ, practical garden furniture and a motorised awning to shade the patio on those sunnier days. The private rear garden is mostly laid to lawn with some nooks for the kids to explore. Stay has off-road parking for 2-3 vehicles, with further kerb-side parking directly at the front of the property. 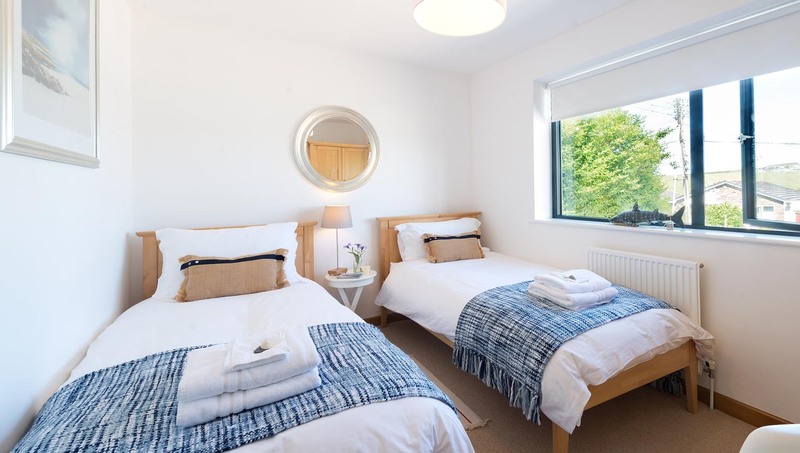 Whilst Stay provides spacious living on one floor, it is accessed via a short flight of steps and sadly not accessible to wheelchair users at this time.